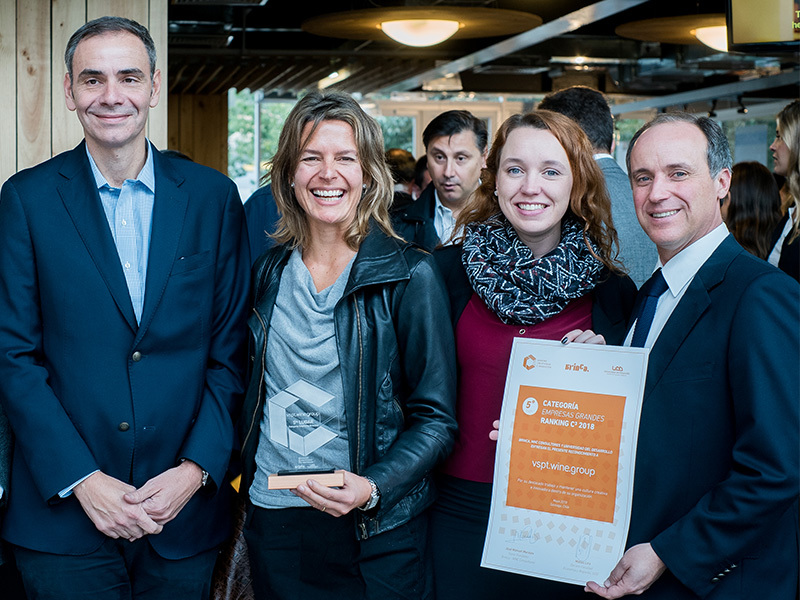 On Wednesday May 16th, the awards ceremony of the Ranking for Creative Culture and Innovation (C3) took place. VSPT Wine Group was acknowledged at 5th place in the large companies category, as it stands out for its creative and innovative culture. The latest version of this review, which is carried out each year by MMC Consultores – Brinca and the Universidad del Desarrollo, awarded this prize to the wine group for the first time, highlighting the high degree of autonomy and creative freedom given to those who make up the company. “This acknowledgement shows the commitment and, above all, the motivation that we have put into innovation at VSPT in recent years. We are interested in innovating in the broadest sense of the word with our processes, products, new brands and categories as well as spreading this enthusiasm to the rest of the wine group”, says Pedro Herane, CEO of VSPT Wine Group. For the 2018 Ranking 52 companies entered, which were evaluated according to their culture, people, processes, strategy and results. In addition, they were evaluated according to their organizational capacity for the development of new products, services, and business models. This would in turn allow them to become more competitive, as well as positioning them as models of innovation.